Jas Elsner expressed his opinion about the way which the Roman Empire displayed its power. In addition to brutal military forces which physically and coercively united the the strong state together, the Roman Empire claimed its control and power via art works by showing the vast amount of energy being put into art. Displaying its richness and divinity, the statue Augustus of Prima Porta, with the patron of emperor Augustus himself, showed his power by depicting his gestures, the relationship with deities, and the clothes he wore. Augustus, in a contrapposto form, was an idealized view of the Roman emperor. He waved one of his hand in the air and stood in a orator pose which expressed his great confidence and control over his people and territory in Rome. His gesture showed his leadership by making him look as if he was making a speech. He was also connected to the god as a cupid was on the back of a dolphin beside one of his legs. The presence of the cupid beside him showed the legacy of Augustus as people viewed him as the descendent of Venus. He stood barefoot showing that he was standing on a scared ground, which further emphasized his divinity. In addition, he might also carry a sword in his left hand according to his gesture, and on his breastplate were gods participating in return of Roman standards from the Parthians. His breastplate indicated his identity as a warrior, and the judge’s robe on him made him a civic ruler. These two clothes indicated both military and political control. Therefore, Augustus claimed his power in the form of sculpture with his orator pose, the cupid beside him, and his clothes showing his power. The great details depicted on the the statue of Augustus of Prima Porta showed the refine sculpting ability of Roman artists. 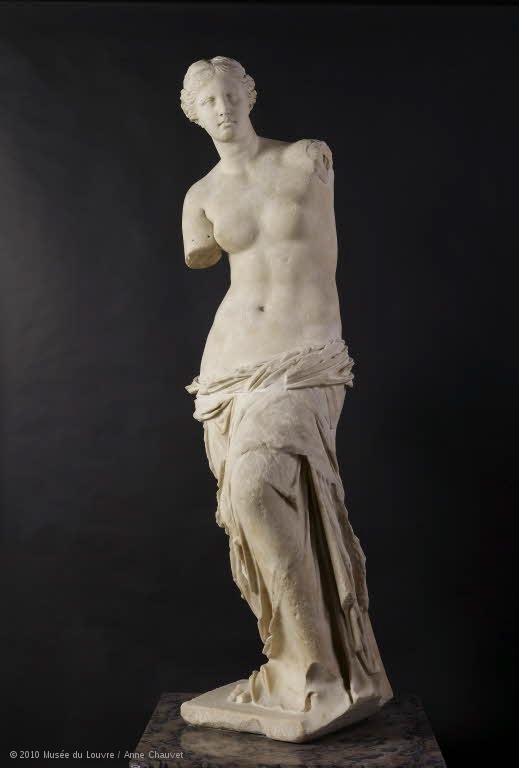 The statue was the method which the ancient Romans used for propagandistic purposes. Being not only a portrait of the emperor, it expresses Emperor Augustus’ connection to the god, his role as a military and political leader, and his job to create Pax Romana. Through the display of great amount of energy devoted to producing art works sponsored by the emperor, the power and the wealth which the Roman Empire acquired were largely revealed to the public. The Ambumb Figurine is a sculpture work made out of graywacke stone which is 20 cm high. It is a three-dimensional work of an animal in prehistoric time. The overall effect of the sculpture is that the artist creates a dynamic figure of a supernatural combination of different kinds of animals which seems to be approaching the viewers, while the space between the neck and the body and the shape of the work form a perfect balance in both an artistic and physical way. The animal seems like a kind of kangaroo or at least a marsupial animal because it has a big belly in front of it. With its hands putting on the belly and the gentle curve of the sculpture, it gives the viewers a feeling that this sculpture portrays a female figure as it reminds them of pregnancy of a mother kangaroo. The lines and curves which portray different parts of the body are gentle without many sharp edges, so the sculpture looks very stable and peaceful on the ground as if the animal is alive and it enjoys the happiness in its life. However, by looking at the upper limb and head, the animal is not a kangaroo to me anymore. Instead, it becomes the combination of fish, horses, and pigs. The work portrays the eyes of a fish, the mouth and nose of a horse, and the manner of a pig because the whole sculpture appears to be clumsy and plain to me from the way it is sitting. It is very hard to see the animal’s legs on the picture, and the whole sculpture is standing on a very small point at the bottom, which is not necessary to be flat. It amazed me very much because so long ago in prehistoric time, people knew the principle of physics. They controlled the center of gravity very well so that the sculpture work does not fall down even though it stands on a small base. Based on the mimetic features and details of many different animals appears on the sculpture, this figure seems to be supernatural to me as a dragon, phoenix, and unicorn are created to meet people’s fantasy about the nature. Therefore, the Ambumb Figurine might express the certain characteristics which human beings could not achieve, so people hope this kind of animal might help them. The focus of this sculpture is the head of the animal. Since it is three-dimensional work made of a single color stone, light and color do not play a role in terms of emphasizing the focus. However, the lines do this job with all the curves coming towards and focusing on the nose. Therefore, the viewers feel that the nose is much closer to them, and the animal is just facing towards them in a very short distance. The focus on the nose brings the art piece to us as if it is dynamic and approaching. Also, this work is symmetry as most of the animals on the world are. Even though it is not framed, the effect of curves on the nose gives viewers a feeling that this part of the work just goes beyond the frames. 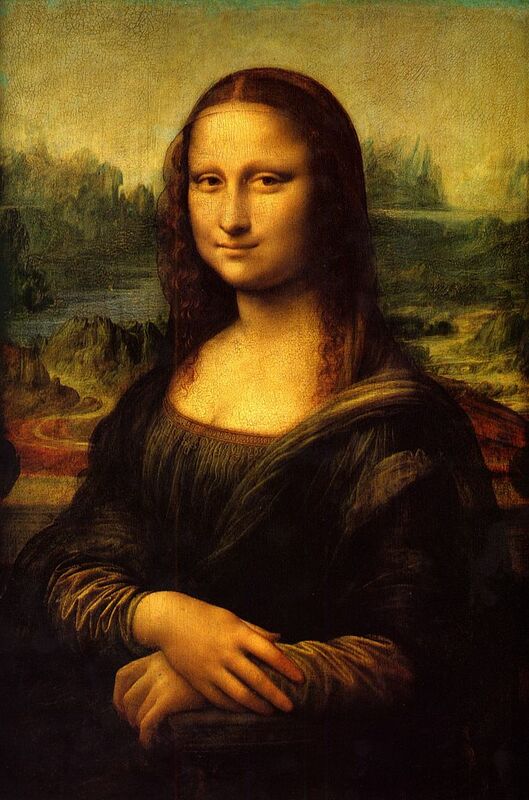 The artist also leaves the middle space between the neck and body empty, so the space balanced the work pretty well. Since the neck and the head of the figure is relatively longer than other animals we see now, they curl in a gentle and pleasant way which appeals to the readers. The curve formed by the neck left a large space in between. The head and the body would seem to push and squeeze each other in the limited room if there were no space. Winter Landscape, by K. Beiber, is displayed in the green room of the library in Lake Forest Academy. A number of K. Beiber’s other paintings are on sale on online shopping website or in auction houses. The school might have bought this art piece from a auction houses or eBay, or it might also be donated by an alumni of the school. Unfortunately, there is no record at Lake Forest Academy about this art work. The medium of Winter Landscape is oil on canvas, and it is in a very good condition with no visible defects able to be seen by the viewers. The painter, K. Beiber, is not a very famous artist. She is largely unknown even to experts. The limited information about the artist herself shows that she is an American painter in the second half of the 20th century and that lots of her works are left in Germany as she has gone there to work for a long time. Winter Landscape indicates that she might have lived in the Midwest of the United States. Other paintings by K. Beiber in auction houses show similar characteristics to Winter Landscape. She has painted many landscapes, including a painting depicting the landscape of Germany and one showing the sight of a forest in the morning. She likes to use of a number of different bold colors, such as using bright orange and blue together, in contrast to each other to emphasize the power of her painting. K. Beiber, German Landscape, ca. 20th century. Oil on canvas, 24 x 36 in. (60.96 x 91.44 cm). Winter Landscape and German Landscape, painted in the same size and with the same materials, have a lot of similarities. Both paintings emphasize on the creation of depth and space by depicting either a road, in Winter Landscape, or a river, in German Landscape, disappearing at the very end. The two paintings give the viewers a dimensional impression as if the road and the river are extending to infinity. Therefore, viewers get a strong sense in terms of how magnificent the landscape is from the nearer to the farthest end in the painting. They also get a mysterious feeling as everything in the two paintings is attracted to and concentrates at one point in the middle of the painting, and they imagine that the landscapes get more beautiful and mysterious as they approach to the end of the road or the river. The difference of German Landscape and Winter Landscape is shown in the color of trees. The trees in Winter Landscape are totally white, giving people a sense of winter, snow, and bitterness. The trees in German Landscape has warmer colors with the yellow and orange in a mixture of green. The colors make people feel more like walking in an autumn day. Alfred Sisley (1839-1899), Le chemin de la Machine, Louveciennes 1873. Oil on canvas, H. 54; W. 73 cm. Musée d’Orsay, Paris, France. K. Beiber’s landscape painting belongs to neo-Impressionist style, which is based on Impressionist art. Le chemin de la Machine by Alfred Sisley is also an Impressionist painting. Both painting are less refined and quick in order to capture the immediate yet the best impression of the scene. The road reaching infinity is one of Sisley’s favorite themes, also used by K. Beiber in her landscape paintings. The road disappearing into the distance connects the foreground and the background, helping the viewers to get a better sense of the space. This technique used by the two painters both creates perspective effects. The trees on the left side of the road in Le chemin de la Machine give rhythm and the impression of three-dimensional space by being perpendicular to the way which the road stretches. The vertical trunks also interact the horizontal lines of the shadows, perpendicular to the way the road goes as well. Le chemin de la Machine and Winter Landscape are different in way that in Le chemin de la Machine, the road slightly rises, creating a vanishing point slightly off center. The point off center increased the dimension and curve of space with different planes. Finally, Sisley painted a few small figures in the landscape painting, making it more vivid and lively. However, K. Beiber does not introduce any human figure in her landscaping, showing a bitter winter when there is no one walking on the road. 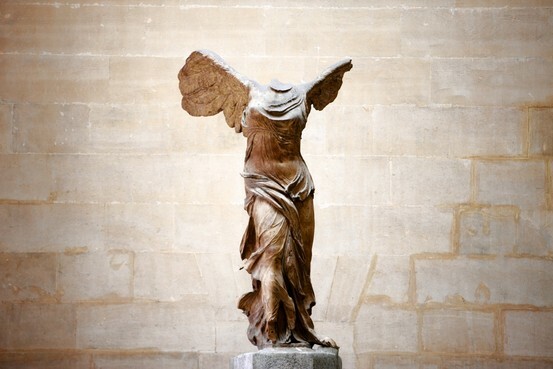 A simple question: When you go to the Louvre Museum, which of the following is the least impressive one? All of the five works are on the guide brochure of the Louvre Museum, and every day, tons of people look for them in this complexed palace. I believe that most answers to this questions would be Lamassu as the first three works are the three key highlights of the collections which almost everyone probably knows before coming. 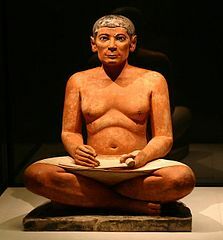 The Seated Scribe is not very famous, but from the name and introduction, visitors would gain a basic idea. However, Lamassu does not mean anything to most people, and the history of Assyrian art is unfamiliar to them. The one in the Louvre Museum was not the first Lamassu I have ever seen in my life. Last summer, I went to summer school to take the ESL classes for international students in my school. On one weekend, the school took us to the University of Chicago for a campus visit. As walking by the Oriental Institute, we stopped by and took a look inside. 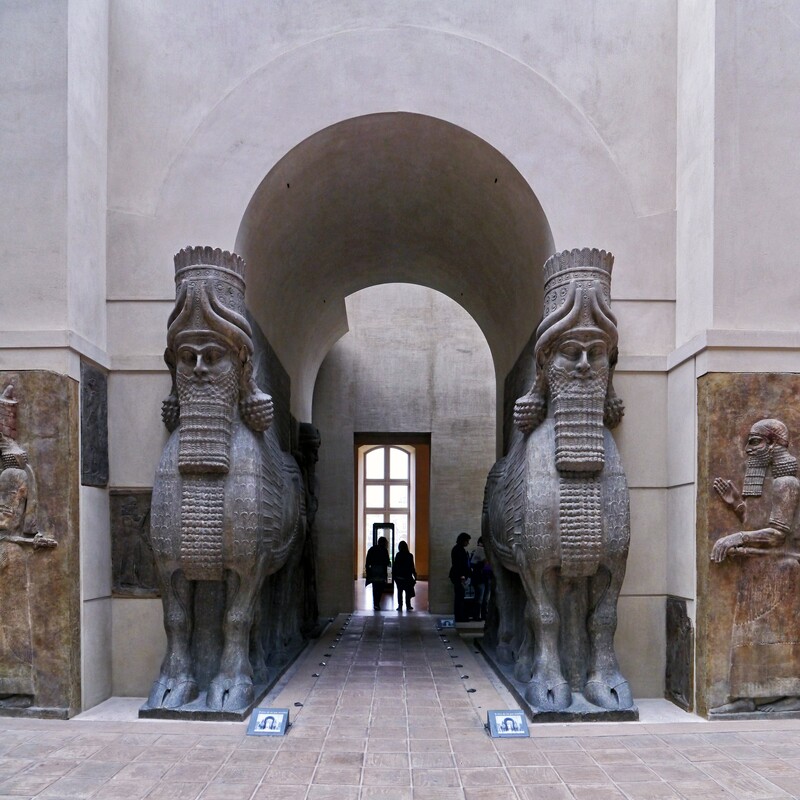 The collection where Lamassu belonged was at the end of the hallway. The size of Lamassu was pretty amazing, which was supposed to leave a deep impression on me although I did not know anything about it back then. However, when I went the Louvre Museum in this summer, I was amazed by this work while listening to the audioguide. Surprisingly, I thought it was my first time seeing a giant Lamassu because I totally have no idea I had actually seen it before. Since I know some historical background this time, I remembered more about it. Sargon II founded a capital at Khorsabad, surrounded by a city wall with seven gates. Lamassu is the protective spirits placed a either side of each gate as guardians and also bore the weight of the arches above the gate. From this description, I began to realized the importance of this winged human-headed animal guardian figures. It has five legs in total. When people see it from front, it stands still as if it is guarding the whole city; when people see it from side, it is moving as if it is ready to fight. Last week when we went to the Oriental Institute in the University of Chicago, again, I met Lamassu for the third time. By looking at it with a deeper understanding, I feel the sense of harmony and stability it gave me. The third time I met him, I feel that the true value of art history is appreciating those less popular art pieces which are always ignored by most people. That is probably why art history attracts me so much😊.